Young advisors seeking to acquire a book of business are usually told it’s a sellers’ market, but Peter Bailey of Worldsource Financial Management disagrees. With two deals in quick succession, and a third soon to close, Bailey increased his assets under management from $30 million to $100 million in just a few years. Can you do the same? Coming from a dot-com background, Peter Bailey had the time and the money to develop a business-growth strategy before entering the industry at the age of 38. Surveying the landscape, he noticed that most Ontario advisors were nearing retirement. While proficient at helping others plan their retirements, it seemed to Bailey that many advisors were less prepared for their owng golden years than most skilled tradesmen. "I was working part-time in construction, and noticed that carpenters and bricklayers and electricians all had apprentices and spent time teaching young guys how to do what they did," says Bailey. "I saw that these outgoing advisors would have to transfer their business to someone, and that they would need to transfer the goodwill to someone. So it may well be me." From day one, Bailey believed that an apprenticeship that led eventually to him becoming a junior partner in a succession plan was the best route to success – and he eventually would serve in a five-year apprenticeship before taking over the book. To find a partner, he started by going to industry events and approaching advisors with a somewhat blunt elevator pitch. Nevertheless, Bailey notes that his blunt pitch is only the start of a longer process of relationship building. Very early in the process, Bailey learned that buying a book from one of the big-six bank affiliated houses would be a near impossible task for an independent outsider. Although Bailey found himself essentially lockedout of the bank channels, for advisors within the bank networks looking to buy a book it is an area where they will have an advantage – although even an internally brokered in-house purchase would likely be highly competitive, with multiple bids. By approaching independent brokers, Bailey was able to talk directly to advisors who control their own business and avoid the tight control banks have over transition processes. One trick in entering a purchase agreement is getting the right price, as the formula for valuing a book can vary widely depending on the nature of the business. Valuation may also depends on whether the advisor works with 20 fund companies as opposed to five, he notes, whether they use 25 funds versus 125, whether they have an office with staff or work from home. Nevertheless, the junior advisor will need to clearly lay out the process, and put his or her foot down if needed. 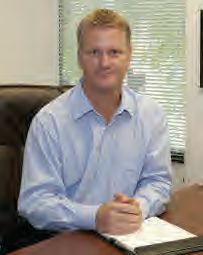 “A purchase-and-sale agreement needs to be drawn up and this is also a costly document – sometimes you can get it from a dealership but mine is really particular, and the purchase-and-sale lays what the process of exit is going to be, what the involvement of the outgoing advisor is going to be, how many meetings there will be per year per client, how much work the outgoing advisor will be required to do, how involved they’ll be, who’ll make decisions regarding the clients’ investments. Bailey has other deals in the works that could put him within his $250 million goal within a few years. And he sees even more acquisitions in the future as some events may make it a buyers’ market. For starters, the average age of advisors in Canada is around 58, according to Advocis, which means that the demographic clock is ticking for many advisors. The other big event is a significant regulatory change coming on July 15, 2016. “We all know what’s happening that day. It’s a bill called 31-103 for the MFDA and for IRROC, and there is going to be full disclosure of fees to clients on that day,” says Bailey. “If you have a $500,000 client who you see once a year or talk to once on the phone, their statement is going to show in writing that the client paid you $5,000 that year for the one meeting or call. What that’s going to do for advisors who don’t disclose what they make, over the next three years, is that they will lose business hand over fist. And here’s his tip for senior advisors who haven’t started succession planning: Start. Peter Bailey Worldsource Financial Management Inc.